State of Decay (game, 2013). An action-adventure survival horror stealth video game by Microsoft Studios/Microsoft Game Studios. Developed by Undead Labs, Microsoft Studios. Official Trailer. State of Decay is an action-adventure survival horror stealth video game by Microsoft Game Studios and Microsoft Studios, developed by Microsoft Studios and Undead Labs. 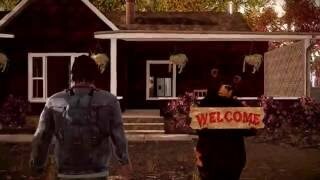 State of Decay: Year One Survival Edition - Trailer. The story takes place in the fictional Trumbull Valley. The first playable character is Marcus Campbell, a store clerk. After returning from a fishing trip with his friend and a Trumbull local, Ed Jones, he finds that the world has degenerated into a zombie apocalypse. The two are soon joined by Maya Torres, a soldier. They acquire a walkie-talkie and make contact with Lily Ritter. Following her direction, they make their way to a church called the Church of the Ascension, where Lily and several other survivors have made a home base. With Ed wounded, the trio accept Lily's offer to let them stay. As the game progresses, the survivors become aware of the United States Army's presence in Trumbull Valley, led by Sergeant Erik Tan and Captain Diane Montressor. They soon learn that the army's top priority is not to evacuate the survivors, but to contain and try to find the cause of the outbreak. The players also find the local civic leader, Judge Lawton, has barricaded the courthouse with the local law enforcement. She places citizens in her care under martial laws, planning to rebuild after the zombie incursion blows over. Finally, the players are also introduced to The Wilkersons, a group of hillbilly gun-runners who are using the apocalypse to profit and exploit other survivors. Near the end, the courthouse falls to a zombie attack and Judge Lawton dies. Captain Montressor is evacuated, leaving behind Sergeant Tan and his men. The player, along with Tan, discovers numerous dead bodies dumped at the reservoir, explaining the cause of the, "Black Fever," that has plagued numerous survivors in Trumbull Valley. With their only water source contaminated and long term survival no longer an option, they plan to leave the valley. After raiding a zombie-infested warehouse to get explosives, the group head to the only road leading out of the valley, now blocked with a massive concrete wall. 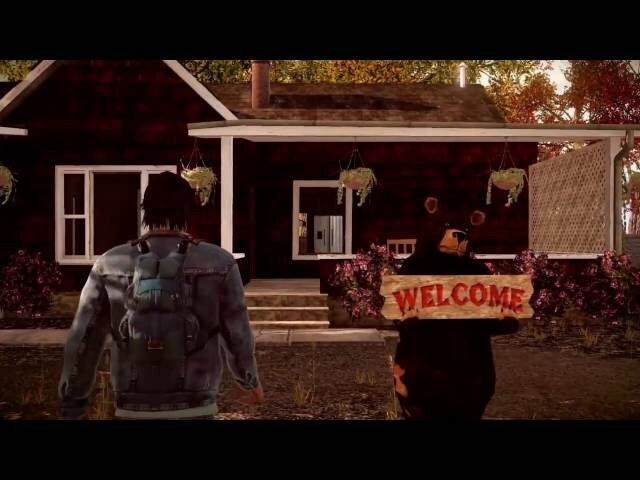 State of Decay contains elements of third person combat and simulation (building base and outposts). The player is in charge of a small group of survivors and can either follow the storyline or perform tasks that ensure their community's survival. The game world is 16 square kilometers, 8 square kilometers of which is playable. State of Decay was scheduled to be released by Microsoft Studios and Microsoft Game Studios on June 5, 2013, on November 5, 2013 and on April 28, 2015. This video game is available for the following platforms: Xbox 360, Microsoft Windows and Xbox One. The game had received PEGI 18 rating.